Thomas Ball (Tom) is a Principal Researcher and Research Manager at Microsoft Research. From 1993-1999, he was a member of the technical staff at Bell Laboratories. His 1997 PLDI paper on path profiling with colleagues Ammons and Larus received the PLDI 2007 Most Influential Paper Award. In 1999, Tom moved to Microsoft Research, where he started the SLAM software model checking project with Sriram Rajamani, which led to the creation of the Static Driver Verifier (SDV) tool for finding defects in device driver code. Tom and Sriram received the 2011 CAV Award "for their contributions to software model checking, specifically the development of the SLAM/SDV software model checker that successfully demonstrated computer-aided verification techniques on real programs." 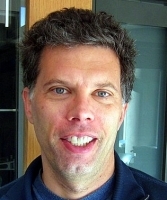 Tom is a 2011 ACM Fellow for "contributions to software analysis and defect detection". As a manager at Microsoft, he has grown research areas such as automated theorem proving, program testing/verification, and empirical software engineering.